Darjeeling: In a bid to keep Darjeeling’s heritage alive and spread awareness on environment protection, the Darjeeling Rehabilitation Service Co-operative Society Limited, an organisation dedicated towards restoration, preservation and protection of ecological integrity and heritage, in association with Darjeeling Himalayan Railway (DHR) organised an 8-km 'fun run’ on Sunday. The run began from Darjeeling More and concluded at Sukna station of the DHR. The DHR, popularly known as the Toy Train, is the first mountain railway in the world to be accorded a UNESCO World Heritage Status. The run witnessed a participation of over 3,000 from various educational institutions and social organisations, who are aiming to get into the India and Asia book of records. 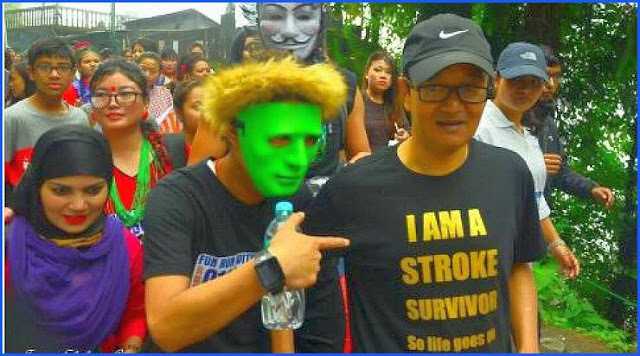 A similar run was organised in 2017 by the Darjeeling Rehabilitation Service Co-operative Society Limited. The run had made it to the India book of records for ‘Most people participating in Fun Run’.